After the loss of her twin, Anna (Jodie Whittaker) remains emotionally stunted. Unable to deal with her grief and any responsibilities, she resides permanently in her mother’s shed. A hilarious off-centre British comedy, ADULT LIFE SKILLS is the perfect film for anyone who has ever suffered a loss or is labouring to figure out life. Anna manages to emulate all of us in her day-to-day struggle to grow up. On the island of Hawaii, Matt’s (George Clooney) wife has slipped into a coma and is not waking up. To make matters worse, he has been told by his teenage daughter Alexandra (Shailene Woodley) that his wife was cheating on him. It is inconceivable to witness Matt's internal struggle where he feels both enraged by his wife's betrayal but grief at her impending death. The film's strength is in allowing an unthinkably awful situation to unfold in a truly heart-warming story. 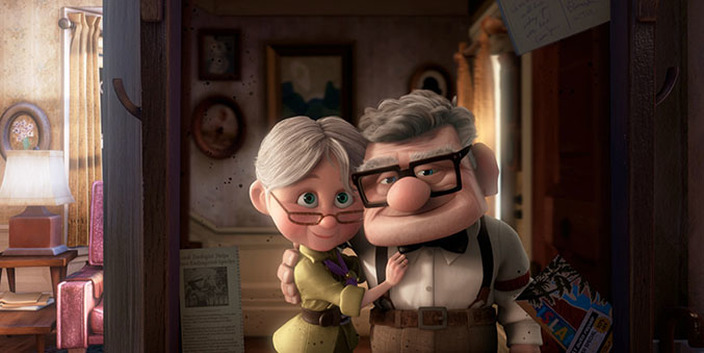 With life, love and loss encountered in the first film minutes, UP has perhaps one of the most heart-wrenching film openings. When Carl’s (Edward Asner) wife passes away and a real estate company attempts to acquire his house, he decides he has had enough and takes off on the adventure he and his wife never had. The film is ultimately a beautiful tale of denial leading to acceptance. When Davis’ (Jake Gyllenhaal) wife is killed in a car accident he is forced to examine and demolish his life to see if he ever really loved her. However, as he starts to take his past apart, he himself begins to unravel. In definitely one of the more eccentric film instances of dealing with bereavement, DEMOLITION reiterates the concept of grief in which we are left with no clear coping mechanism; we must move on anyway we can. Amelia’s (Essie Davies) husband dies in a car crash, on the way to taking his pregnant wife to the hospital. Amelia survives and gives birth to a baby boy, Samuel (Noah Wiseman). Years later Amelia and Samuel are haunted by a sinister monster known as the Babadook: a manifestation of the irrational guilt Amelia feels for the death of her husband. THE BABADOOK is as scary as it is disconcerting but what is even more terrifying is witnessing Amelia succumb to her guilt and struggle not to fall victim to the monster.